The Burren Room is our conference and private party space. It accommodates up to 50 guests. 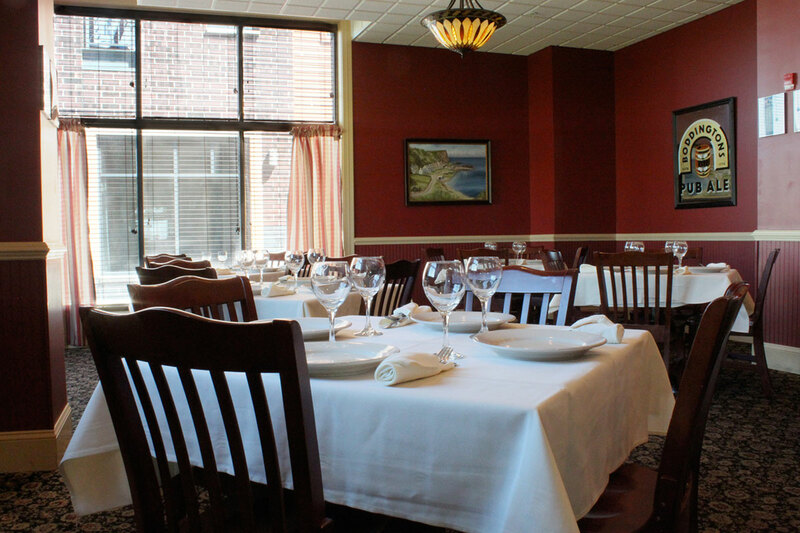 We are able to provide our guests with a wide variety of menu options for various events in this intimate environment. In the initial planning stages of your event, keep in mind the number of guests that will be attending, a certain price point that you might have in mind, and the desired style of dining. Sit-down two, three, or four-course meals including salad, soup, dinner entrée, and dessert options (build your own). Buffet-style meals including salad, dinner entrée, and dessert options (build your own). Appetizer platters in cold and hot varieties, with half and full size options.